The SIG522 provides the avid sport shooter plenty of action on a classic military style platform that give the look, feel, and dependability of the full size SIG556 in an affordable .22 LR caliber. 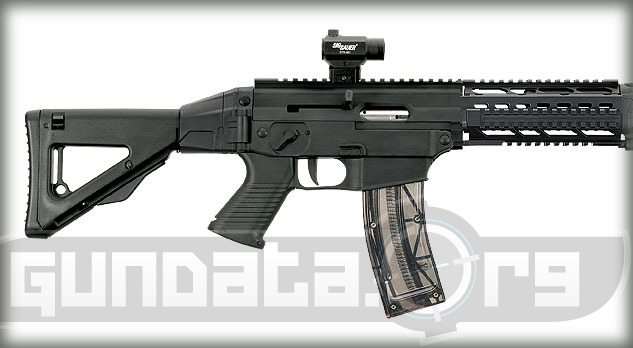 Sig Sauer's 522 Swat Commando offers the same features as the original 522 with an anodized, alloy upper receiver and M1913 rail mounted for the easy addition of optics, sights, lights and lasers. Weighing in at 6 lbs, 2 oz, the Commando is lighter than a standard SIG556, which enables longer training time with less fatigue, but still retains enough weight for realistic training purposes. 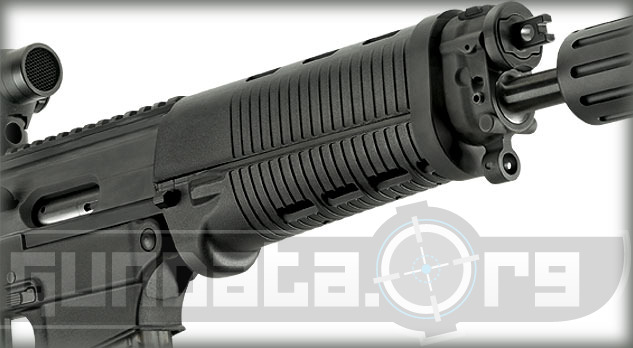 The Commando features an inert training suppressor mounted by standard ½ x 28 TPI threads. 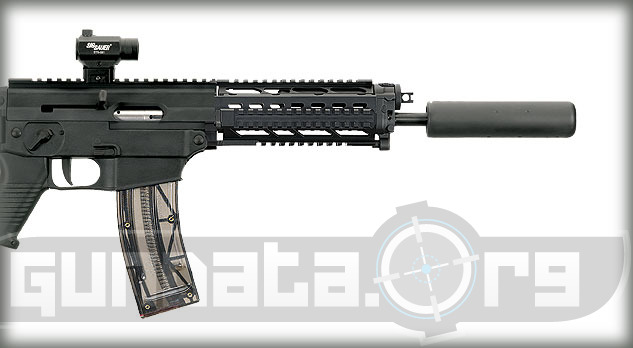 The inert tactical trainer can be removed and the Commando used in the standard rifle configuration. 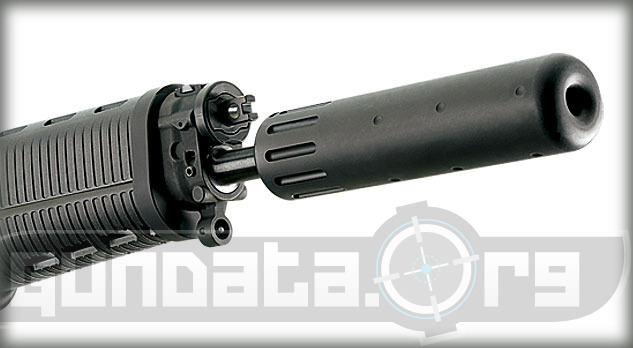 The threaded barrel also accepts many of the most popular flash suppressors and sound suppressor mounts on the market. A folding, telescopic stock provides a strong, stable platform for shooters.